When the Ladies of Grand Forks Brunch Club convenes during the week, it’s not breakfast for dinner, it’s gin and tonics and pickles wrapped in Havarti cheese and egg roll skins and fried and then dunked in Sriracha ranch. They’re so good. 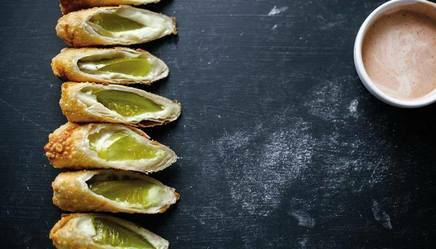 The chewy egg roll skin is what makes them addictive, while the crunchy sour pickle inside kind of creates the illusion that you’re being healthy by eating a vegetable.